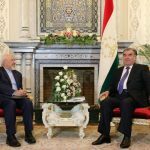 Iranian Foreign Minister Mohammad Javad Zarif, who arrived in Dushanbe, the capital of Tajikistan, on Wednesday, has met his Tajik counterpart Sirodjidin Aslov, Ifpnews reported. 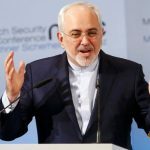 During the meeting, Zarif and Aslov discussed issues of mutual interest. 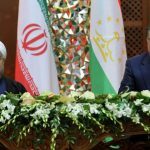 The Iranian top diplomat’s visit to Tajikistan is the first of its kind in the past couple of years. Relations between the two countries took a nosedive in late December 2015 on the issue of the Islamic Movement of Tajikistan. While the Islamic Renaissance Party of Tajikistan (IRPT) was considered by the Tajik government as a banned party, its leader Muhiddin Kabiri, who lives in exile, was invited to an international conference in Tehran, and this outraged the Central Asian state. Tajik authorities said despite the fact that Mohiddin Kabiri was accused of organizing riots in September 2015, Iran invited him to the International Conference of Islamic Unity while he was seated next to the head of Tajikistan’s state-backed Council of Islamic Ulema and other members of the official delegation from Tajikistan. Meanwhile, informed sources say the tension between the two countries goes back to earlier times and is in connection with the assets of Babak Zanjani, the Iranian billionaire who is in jail and was earlier sentenced to death. 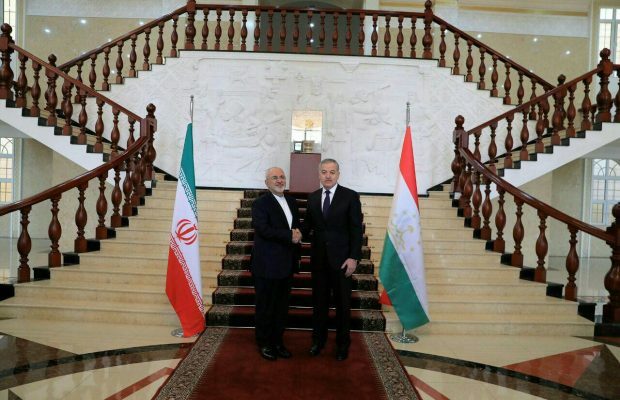 There has been no serious bilateral diplomatic engagements within the past two years, but Zarif’s visit to Dushanbe is believed to be a serious step to mend Iran-Tajikistan ties. Zarif will later leave the Tajik capital for Uzbekistan, where he will hold talks with the country’s officials and attend the International Conference on Security and Sustainable Development in Central Asia.